Polling stations opened this morning. 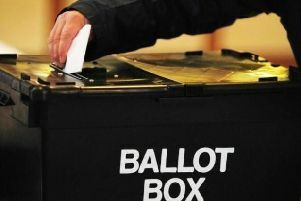 Voters are going to the polls today to elect representatives to local councils. A total of 21 seats on Wakefield Council are being contested in this year’s election, one in each of the authority’s wards. That represents a third of the authority’s councillors. The authority is currently Labour controlled and has been lead by leader Coun Peter Box for 20 years, since 1998. Deputy leader Denise Jeffery’s seat is up this time, as is the seat of the leader of the Wakefield Conservatives Nadeem Ahmed. The local count will take place through the night with results expected during the early hours of Friday. After the polls close this evening, the ballot boxes will be taken to Thornes Park stadium in Wakefield for the the count. We’ll have a full round up of the elections news as it happens on this site.